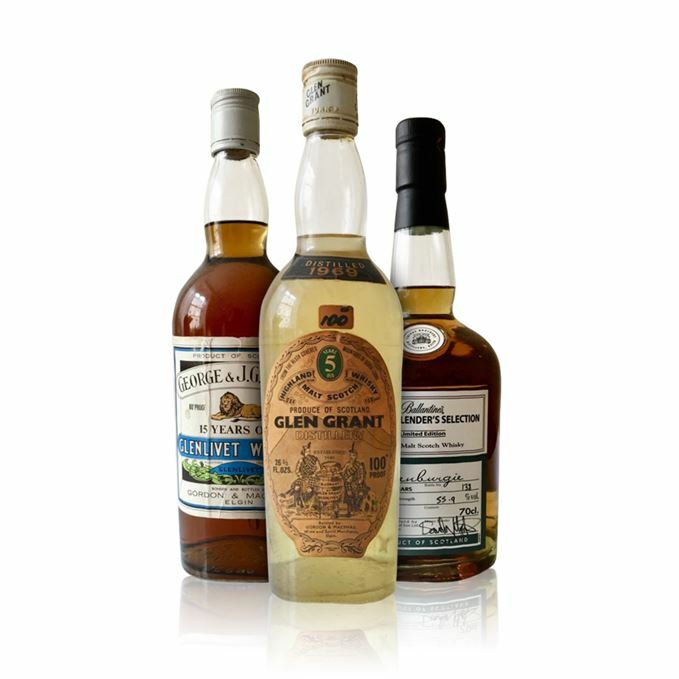 A trio of Glens forms this week’s rare whisky tasting lineup for Angus MacRaild. A flight which demonstrates how age and cask type can create a wealth of character in whiskies from the Speyside region of Scotland. 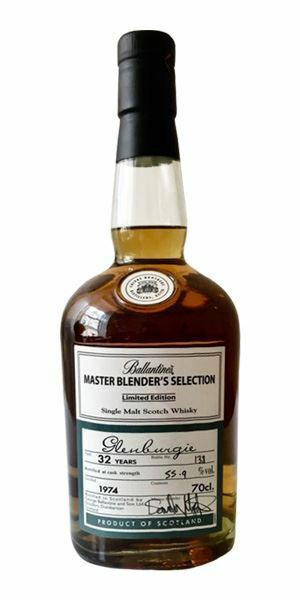 First up is an official bottling of 1974 Glenburgie, released in 2006 under the Ballantine’s Master Blender’s Selection series. MacRaild finds it wears its 32 years of age very lightly, and is ‘technically excellent’, if a little underwhelming. 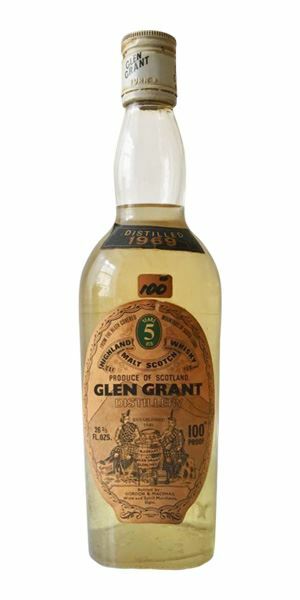 Which is perhaps the opposite for the next dram: a 5-year-old Glen Grant distilled in 1969 and bottled at 100 proof (57.1% abv) by Gordon & MacPhail. MacRaild finds it to be a stunning example of pure, ‘old-style’ distillate that’s been barely touched by the wood. Any slight imperfections of youth only serve to highlight the more thrilling and precise aspects of its personality. Sitting in between the two is the final whisky – another Gordon & MacPhail bottling – a Glenlivet 15-year-old bottled in the 1970s. This one has been fully matured in Sherry and bottled at the old 80 proof (45.8%). 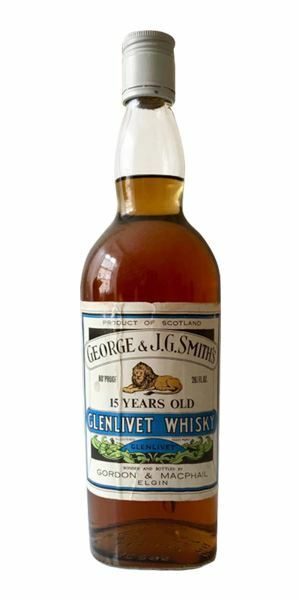 MacRaild finds it a perfect and delicious example of old style Sherry maturation and a terrific distillate caught at the perfect age and an almost dangerously quaffable strength. It’s the kind of whisky that ‘exudes class and elegance’. Hot cross buns with burnt currants and cinnamon. Then it moves more towards various jams: apricot, gooseberry. After that another shift onto apple tarts and glazed pastries. It’s elegant but wears its age very lightly – blind I’d have said it was a good 10 years younger than 32. Hints of golden syrup, grape must and a wee glimmer of hessian. Water brings a gravelly quality with crushed fern, bracken and dried sage. Again the age is restrained. It all feels rather fresh with these petrichor, leafiness and heather honey characteristics. Some earthy turmeric, toasted sunflower seeds, lemon oil and a relatively crisp and straightforward maltiness. Perhaps some orange pith as well. With water it becomes more peppery and oily. In fact its texture is markedly improved and enriched by water. A light sootiness develops along with some chamomile and bergamot. Lengthy, warming and oily. Some plain malt, camphor and white pepper. An unusual bottling. It’s very good whisky but I’m not sure it isn’t a tad boring or simplistic. Still, on a technical level there isn’t much to fault it on, and it’s remarkably fresh for its age. Watching fireworks on Calton Hill. Hyper clean, sinewed and only a whisper away from the raw ingredients. Big, assertive notes of freshly malted barley, hot grist and yeasty sourdough starter. Dusty hay lofts, struck flints, pine cones and fresh linen. An uber pure, entirely distillate-driven profile where all the wood has really done is cleave the edges off the new make spirit, and it’s all the more enthralling for it. Water emboldens the cereals and minerals. Out comes bath salts, lime zest and citronella candles. The very height of purity in whisky. Chalky minerals, vivid white stone fruits, petrol, olive oil, gorse bushes, chopped parsley and agave. A rich seam of sweetness from the malt, a coastal spray of freshness and many peppery and softer herbal qualities. A stunning distillate! With water it becomes fatter, greasier and waxier. The lower end of the spirit run churns about the palate with viscometric verve. Gooseberry, cider apple and lychee all fade in and out and there’s still plenty of chewy malt and zippy yeastiness. Long, lemony, yeasty, mineral and full of big fatty globules of malt, butter cereal and freshly chopped herbs. When distillate is this good, you really don’t need a lot of time or wood influence for the whisky to shine brightly. The cask here has really just picked the distillate up, dusted off its sharper edges, slapped it on the arse and sent it on its merry way. A thrilling and delicious old Glen Grant. Pure, earthy, old school Sherry. A cigar humidor with abundant rancio, coal scuttles and ancient, leathery balsamic. Touches of metal polish and Earl Grey tea with big, damp, pervasive earthiness. A scatter of roast chestnuts and toasted trail mix as well. The height of charm and sophistication. The sort of aroma that just oozes class. Richly leafy and earthy in keeping with the nose. More of this very leathery and tobacco heavy profile. Some stewed raisins and sultanas, very old Cognac and a little praline. Also some café latte, coco and bitter, salted chocolate. More rancio and typical old school, weighty Sherry characteristics. Long, leathery, minty, slightly gamey and with softer earthy notes of old Pinot Noir and black truffle. Rather peppery as well. Pure class. The kind of juice that G&M used to practically give away as standard. Drinking games with James Bond. Rare Batch 50 24/10/2018 A ‘totally stunning’ 1974 Caol Ila sizes up to a magnificent Mortlach and 1930s blend. Rare Batch 48 26/09/2018 Three spirit-driven 1970s single malts from Ardmore, Glen Garioch and Glenlivet.